The Audi S3 is a premium performance sedan, and is one of the best mid-sized cars on the road today. The car is powered by a 4.0 liter, twin-turbocharged eight cylinder engine that is rated at 520 horsepower. Audi equips the auto with all-wheel drive to ensure the engine power is applied to the road evenly, and the interior of the car is spacious. 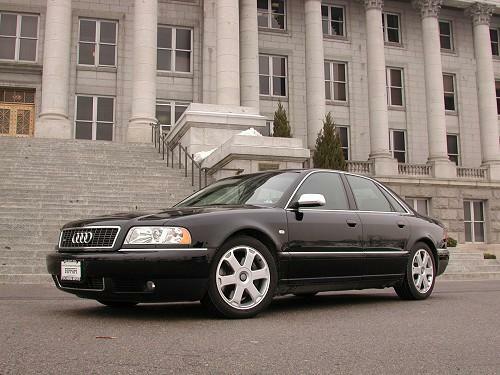 The S8 is rated at 15 MPG (city) and 26 MPG (highway), and can go from zero to 60 MPH in just 3.6 seconds. The top speed of the auto is 155 MPH making it one of the fastest, street-legal sedans on the road today.